Dr Keto Meal is an ultra-low carb meal replacement specifically formulated for those following a ketogenic diet. Keto Meal is beneficial for anyone looking to increase energy, promote fat loss & support ketone production whilst following a ketogenic diet. The formula includes supplement trademark PROMCT™ (a medium chain triglyceride (MCT) oil-based protein powder that is high in fat, moderate in protein and extremely low in carbs that may assist with ketosis & fat loss. It is 100% lab tested & convenient fuel source that can be taken at any time during the day. What is Dr Keto Meal? Dr Keto Meal is a first-rate keto meal replacement supplement that is designed to help promote fat loss, increase energy as well as support ketosis for those on a low-carb or ketogenic diet. Dr. Keto Keto-Meal is a genuine food supplement that supports & enhances the true keto dieter’s macro-nutrient requirements. Ingredients: ProMCT™ (Medium Chain Triglycerides, Instantised Whey Protein Isolate, Whey Protein Concentrate, Milk Protein Isolate, Fermented L-Glutamine, Coconut Oil Creamer, Fibresol-2 Digestion Resistant Maltodextrin, Disodium Phosphate, Natural Flavour, Guar Gum, Xanthan Gum, Natural Sweetener). Dr Keto Meal uses a unique formula which incorporates top quality ingredients that are not only scientifically studied but the ingredients used are all dosed at a high level. The formula relies heavily on healthy fats like medium chain triglycerides (MCT Oil), premium proteins like whey proteins, milk proteins and contains an innovative supplement trademark ProMCT™ to increase your chances of entering ketosis and in turn burn fat. Ketones provide the body with the most powerful energy, appetite suppression and mental clarity. When you are on a keto diet, ketones become your source of fuel that is efficiently used by muscles and the brain, generating more energy (ATP) per unit of oxygen consumed than carbs or protein. Together, these work in conjunction to suppress cravings and promote weight loss. In addition, Fibersol 2 is a crucial ingredient seen in the meal replacement-based formula and it contains the power to assist you to delay hunger. Fibersol 2 is recognised as a form of maltodextrin which is opposed to digestion. It mainly grows in the abdomen and intestines, helping you with constancy and combating issues of constipation. Compared to other keto supplements on the market, Dr Keto does not skimp on the quality of their ingredients. They have carefully picked ingredients that can help boost metabolism and burn calories. More importantly, it is a convenient ketogenic performance fuel to assist keto dieters looking for a supplement to improve energy levels, support weight loss or wanting to try a new meal replacement supplement. Dr Keto Meal will be available in three different flavours. These include Milk Chocolate, Vanilla Malt and Strawberry Lychee. Amongst the three flavours includes traditional flavours like Vanilla which gives consumers the versatility to mix it fruits if they wish. Strawberry Lychee is quite a unique innovative flavour as there aren’t many companies that have this flavour profile. This flavour delivers a fresh note of lychee with a hint of strawberry, so if you’re a fan of fruity freshness this one is hard to miss. It is also an easy to mix fuel source that dissolves easily into water. If you’re not sure what keto product will help support weight loss, Dr Keto Meal offers a range of potent ingredients that are safe and effective. 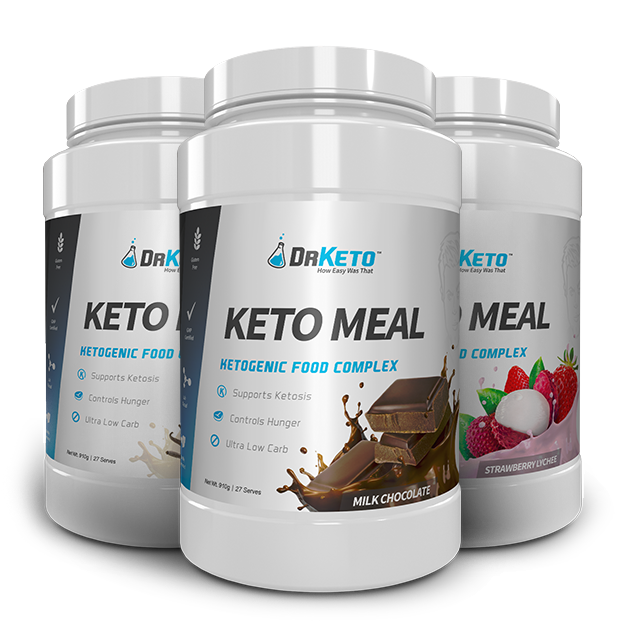 Dr Keto Meal is a first-rate meal replacement specially formulated to help those on a low carb or keto diet. 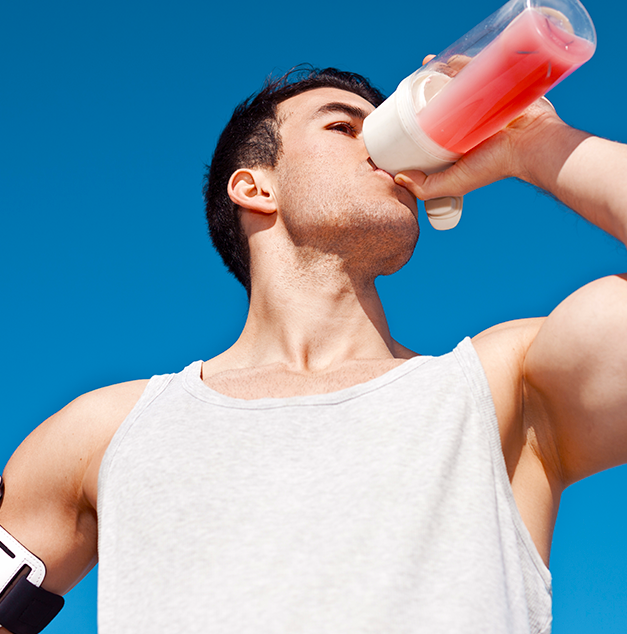 It is the perfect fuel source to ensure you are getting the right macronutrients to support your needs.